Downdetector, a site that tracks website outages, reported problems with Facebook starting as early as 6:30 Sunday morning in NY. Martita Gomez added, "Facebook, Instagram, and WhatsApp are down for users around the world". 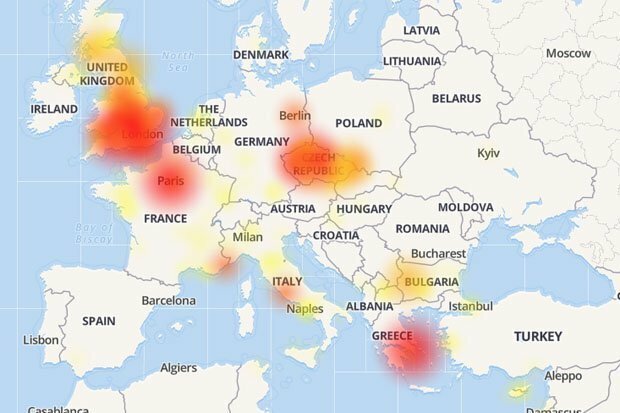 The site's outage map shows several parts of Europe, South-east Asia and North America are affected. The cause of today's outage is unknown. Last month, Facebook, Instagram, and WhatsApp experienced their worst outage, being inaccessible for nearly nine hours to some users globally. Users of all three services owned by Facebook went to Twitter to share that their dissatisfaction. Users reported that they are facing some technical error while trying to log into the services.